While not progressive in the ELP/Genesis/Yes sense, this band went far early on to create bridges between rock, jazz and classical styles long before it was stylish to do so. The end result was a respectful hybrid, not a fusion. The original lineup consisted of drummer Ed Cassidy and keyboardist John Locke, both experienced jazz circuit musicians, bassist Mark Andes, guitarist Randy California, and keyboardist-turned-lead singer Jay Ferguson. This lineup released four outstanding albums between '68 and '70, culminating with the classic Twelve Dreams of Dr.Sardonicus. In '70, Andes and Ferguson left to start the boogie-rock band Jo Jo Gunne. At roughly the same time, California dropped out, so two new members (Al and John Staehely) were recruited and the band carried on as a four piece to record what is possibly the band's most commercial album, Feedback. Locke then dropped out, and after a tour as a three piece, Cassidy did as well. Meanwhile, California had recorded a solo album Kaptain Kopter and The Fabulous Twirly Birds, featuring Noel Redding on bass, Cassidy, and other musicians. This new partnership between Cassidy and California (who incidentally was Cassidy's step-son) would eventually lead to the reformation of Spirit as a three-piece, with various bassists coming and going, which would last throughout the balance of the '70s, '80s and into present times. 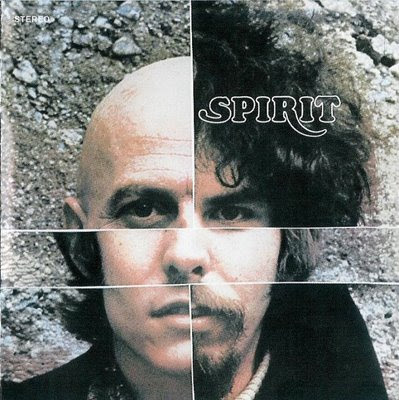 The sound of the reformed Spirit was more guitar oriented with California at the helm, with less of a jazz/classical influence as compared to the early period. The albums from this period tend to be less lyrically sophisticated, and more basic rock and roll, with obvious nods to Bob Dylan and Jimi Hendrix, although there are some gems in here, most notably the late '70s Spirit Live (was released with three different track lineups in Germany, the UK, and the US), the classic Future Games - A Magical Kahauna Dream, and Potatoland, their best concept album since Sardonicus. One note about Potatoland, it was originally recorded in the 1974 period, and completely re-recorded in 1980 when it was finally released. In the '90s they're still going strong, although albums are released much less regularly these days.